As a student of the game of football, especially at the running back position, I’m always watching the Super Bowl with a keen eye, excited to see how my fellow RBs are going to fare on the biggest stages. Super Bowl history is decorated with amazing performances by running backs, and this year’s game has a bunch of unique backs ready to play a big role. When you look at the Rams and the Patriots backfields, you see two very different units of backs. Both Rams running backs are over 220 lbs while the New England guys are barely cracking 200 lbs. But each team utilizes their backfield very well. 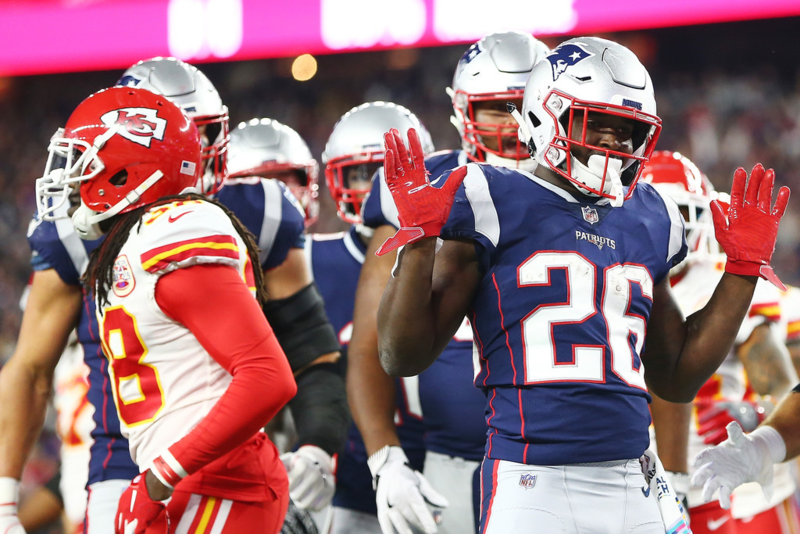 On the New England side, you have a great 1-2 punch with James White and Sony Michel. They’re both smaller, shiftier guys that can catch the ball out of the backfield. They can screen you to death with those two and they’ve been using Rex Burkhead effectively between the tackles in short yardage situations since he came back. 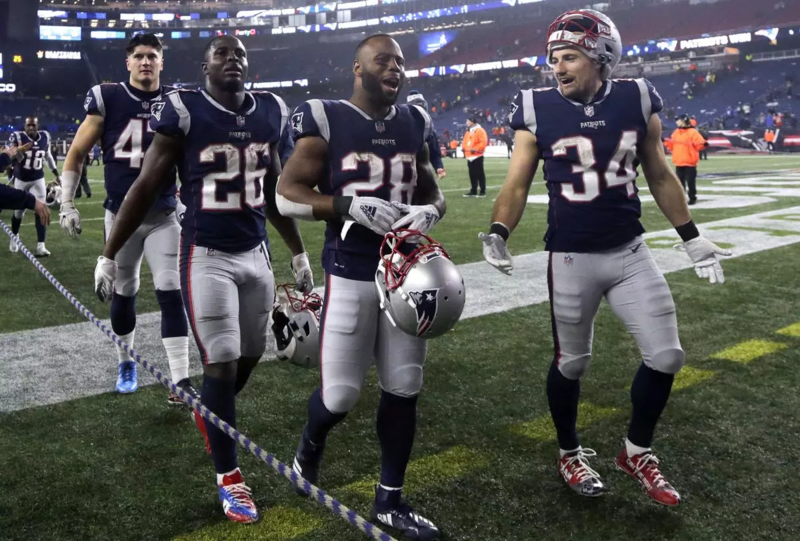 I was in that same New England system for a few months in 2015 and got to see exactly how that position operates within that scheme, and why they never miss a beat regardless of the personnel turnover. The thing is, every play they have designed, they know exactly how they want each position to execute and what particular type athlete can execute it best. It’s not that all three running backs can’t do the job, they can. But the way Coach Belichick runs things up there, he wants a guy like James White to come out of the backfield and run that route tree they have for their RBs effortlessly. They let every guy do the things that he is comfortable with and be his natural self. That’s why it works. Maybe Burkhead isn’t as smooth out of his breaks out of the backfield, so they don’t use him in that way. Coach Belichick knows exactly how he wants each play executed and what athlete is best suited to do it. I think given the matchups and personnel with the Rams, Sony Michel is going to be the guy to watch for the Patriots in this one. I don’t see Burkhead doing much in short yardage against the talented Rams defensive line. You have to assume that Aaron Donald is going to be very disruptive in the middle. He’s going to make the run reads happen very fast. So you’ll need someone shifty to get to the outside and tire out the guys up front. Enter White and Michel. New England will generally go with the hot hand when it comes to those two. But they do run more with Sony and throw more with James, and the Rams linebacker corps is smaller as well, so they get sideline to sideline quickly, which could cause some trouble for James White in that passing game. So the way I see it, the bulk of the carries will come from Sony. He’s definitely going to be a handful for those guys. But I give the backfield edge to the Rams, and there’s only one reason. 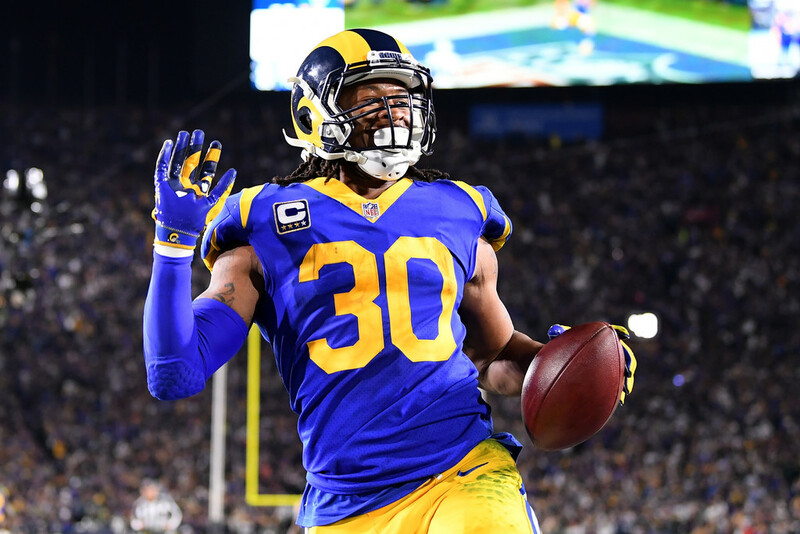 He hasn’t shown what he’s capable of yet in these playoffs, but Todd Gurley is still the reigning Offensive Player of the Year. He has one of the best offensive line units in the game in front of him. The fact that CJ Anderson can come in after being cut by two teams this year and run for 100 yards in back-to-back games says a lot about that scheme and the unit as a whole. Todd says he’s not injured, and I have to take him at his word there, but if he is, obviously it’s a whole different story. Assuming he’s healthy, I think he will absolutely come out there with a chip on his shoulder in the Super Bowl. We all understand that he’s human, so there might be some games where he might be, as he said, play “sorry,” we have all had those games in our career. I think his struggles against the Saints came down to New Orleans making a game planned decision that “We’re not going to let Todd Gurley beat us. He’s the best offensive player they have. We’re stopping him. They have to beat us with somebody else if they’re going to beat us.” He commands that kind of attention, where teams are going into the game saying that. That is a nod to his skill and a sign of respect. It’s frustrating as a player, but it’s a nod of respect. If I’m able to talk to Todd before the game, I’ll tell him: “Those guys are professionals too. They get paid to do a job. Don’t get too high or too low on it. Just stay yourself. You are a superstar in this league.” And I truly believe that. He’s the best running back in football right now. His versatility, being able to run inside and outside the tackles sets him apart. And I believe he’s going to make a big impact in his first Super Bowl.